My first perfectly medium-rare roast. I was so glad and proud. This recipe serves 6. You will need cooking twine to make this roast. 1 (1 3/4 pound) high quality beef flank steak. 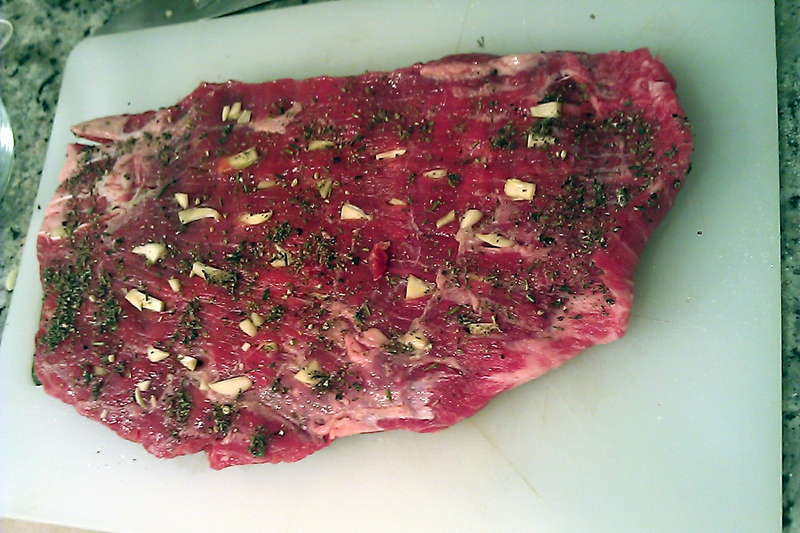 With a knife, make small incisions all over beef and insert a slice of garlic into each incision. Spread half of the herb mixture on top of the beef. Roll the beef snug, garlic-side in, and tie it, one string across the length and 4 or 5 strings across the width. Spread the remaining herb mixture over the beef and place into a roasting pan. Roast 10 minutes. Reduce oven temperature to 350°F and roast 16 minutes longer for medium rare, 20 minutes for medium. Idea for this recipe from Weight Watchers. 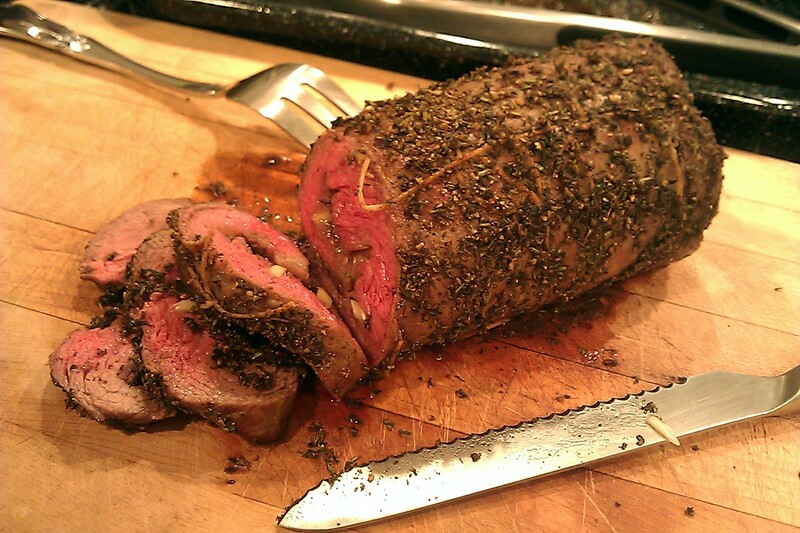 Your herb peppered roast looks perfectly cooked. Now that’s looks like a perfect roast.